Will the Next Doctor Who Be a Woman? Whovians on the Internet are in an uproar following the news that Doctor Who will be getting a newly regenerated Doctor next year. 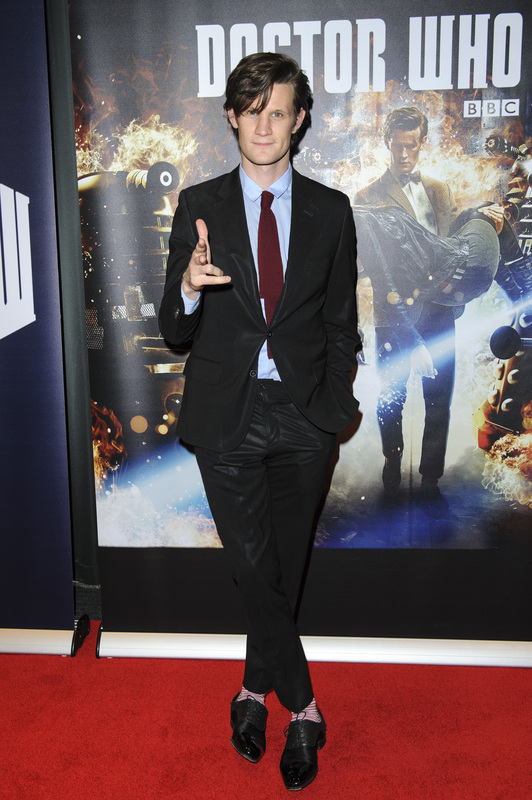 That's right — Matt Smith, the show's 11th Doctor, will be leaving during the show's Christmas special. But the Web is atwitter over more than just Smith's impending exit. His move has ignited speculation as to who the next Doctor will be. This is a huge opportunity for the show, which will celebrate its 50th anniversary this year, to take a new direction with its main character. After all, the show takes viewers through time and space, but hasn't had a female writer in several years. The lack of female perspective in the writers' room has become more and more apparent in the show. The dynamic between the intelligent Doctor and his naive and usually female companion is hardly groundbreaking to begin with, but the show's recent tendency to romantically involve the female companion and the Doctor makes it even less so. The very nature of the show makes it difficult to create a compelling female character. As the star and titular character of the BBC series, the Doctor has enjoyed years of rich, complex characterization. He may "regenerate" and be played by different actors, but his basic motivation — his urge to rescue others while knowing many will die anyway — will always stay the same, making him a fascinating character who finds himself constantly challenged. Of course, there's an even more compelling reason for BBC to recruit a female Doctor: The show has a vocal female fanbase. A female Doctor would not only completely flip the show's gender relations, but it would give young women an adventurous, intelligent role model in a media landscape that is sorely lacking one. But the question is, who would be up to the task? Who could embody the youthful enthusiasm and ageless wisdom of the Doctor? Dame Helen Mirren has expressed interest in the role, and there has been speculation that former companion Billie Piper will return to the show as the new Doctor. So let's play casting director: Who should be the next Doctor Who?